Looney Tunes is an American animated series of comedy short films produced by Warner Bros. from 1930 to 1969 during the golden age of American animation, alongside its sister series Merrie Melodies. It was known for introducing such famous cartoon characters as Bugs Bunny, Daffy Duck, Porky Pig, Elmer Fudd, Tweety Bird, Sylvester the Cat, Yosemite Sam, Foghorn Leghorn, Marvin the Martian, Pepé Le Pew, Speedy Gonzales, Wile E. Coyote and the Road Runner, the Tasmanian Devil and many others. 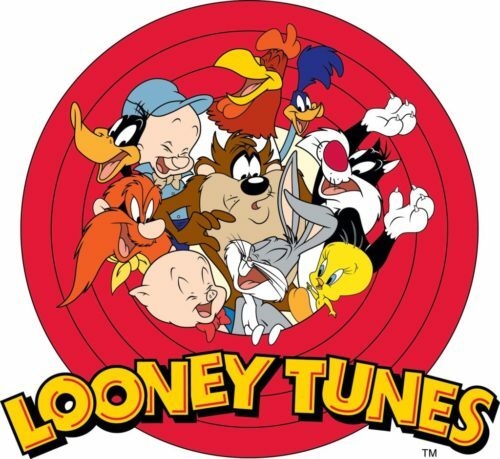 These characters themselves are commonly referred to as the “Looney Tunes”.